Building better mental health is a tough gig. There’s so much we could do to help: exercise, a regular sleep schedule, journaling, therapy… We know that if we put in the work, we’ll see results. 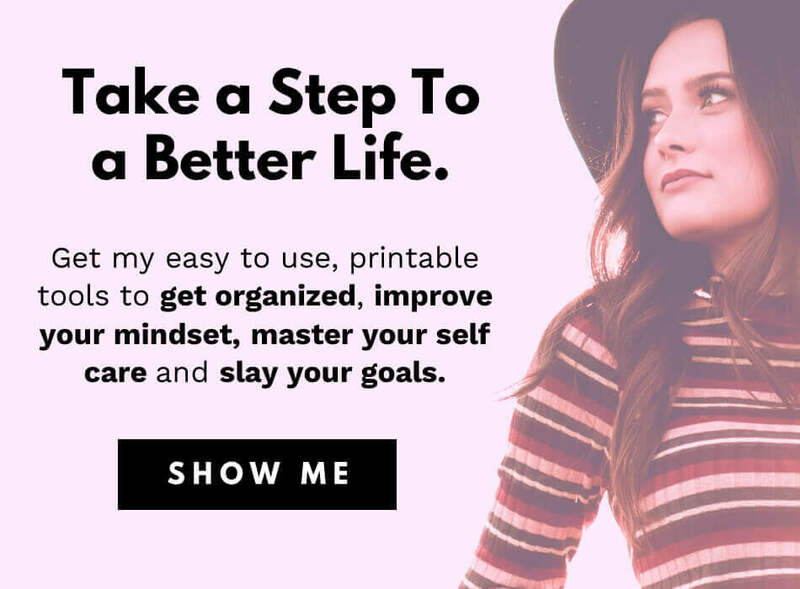 So you’d think that using food – literally eating your way to mental health – would also be a lot of work, right? Doing the research, planning specialized meals, buying fancy ingredients and supplements, probably eating something you don’t like at all? … nope. Turns out, foods for mental health are delicious, easy and fast to turn into full meals. To build better mental health, you want a full range of vitamins and minerals, a good amount of protein, and plenty of brain-health and gut-health superfoods. You want stable energy and a strong immune system. You also want to cut back on sugar and caffeine – while still enjoying treats and pick-me-ups! Getting more Omega 3, healthy fats, iron, magnesium, vitamins B, C, and D, and selenium into your meals can have a powerfully positive effect on your mental health. You also want meals and snacks that are simple, quick to prepare, and delicious to boot. Why? Because eating for mental health needs to be easier than falling back into bad eating habits. So what does it all look like in practice? What should you actually eat? I put together a list of quick and tasty foods for mental health, using all of the above ideas. Try them and see how a mental health-focused diet can up your happiness and mental wellbeing every day! > > Yes, it matters. Start your day with a mood boost and hit of long-lasting energy! 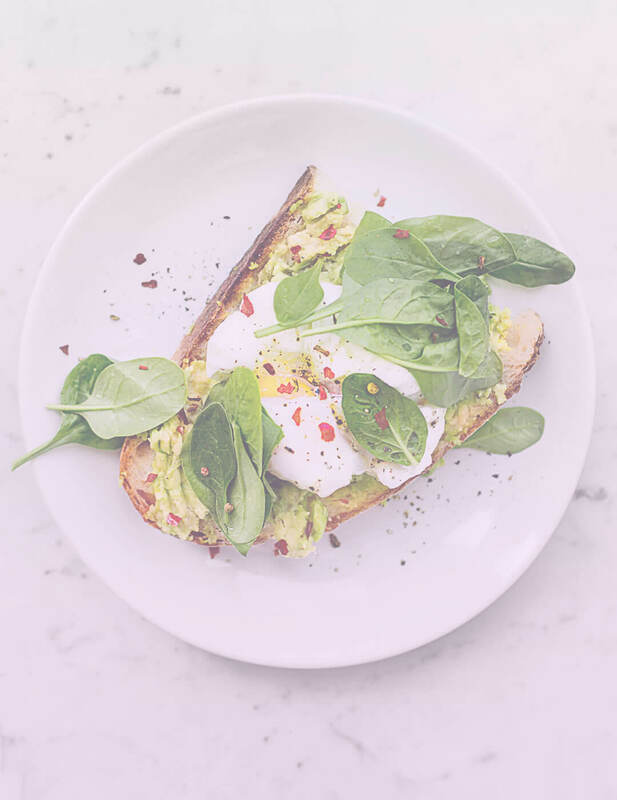 Eggs and avocado are both AMAZING foods for mental health. You’ll get a full serve of protein from those eggs to keep you full. Plus, eggs and avocado contain Omega 3 and healthy fats: ideal for brain health. Egg yolks & avocado also have vitamin B6, iron, and magnesium, vital for energy and mood. And, egg yolks contain half our daily Vitamin D needs which is amazing! Add a piece of grainy wholemeal or sourdough bread: denser bread is low GI for long-lasting energy, and high in fiber for your gut health. For the time-poor or on those busy workday mornings, scrambled eggs are a great choice + super quick to make! You can also boil eggs ahead of time. I eat breakfast at work, so boiled eggs work great for me. 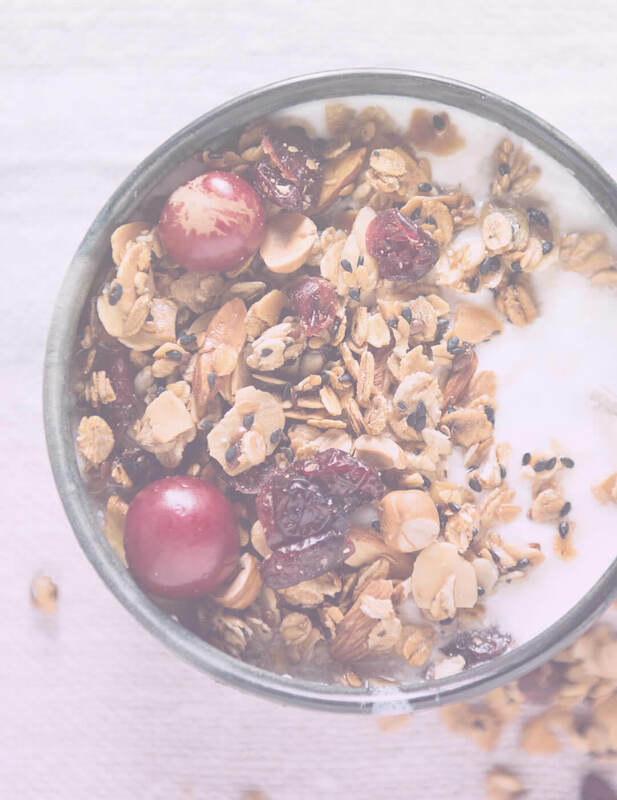 Granola is my go-to breakfast and one of the best foods for mental health! It’s so versatile: eat it with yogurt, your choice of milk, or simply by itself. Adding berries adds even more variety. Be careful when buying granola: check the sugar content first! Avoid granola with dried fruit, which is very high in sugar. Choose a nut & seed-filled granola instead. The protein and low GI carbs from the nuts, seeds, and oats will fill you up and keep you energized. You can also make your own granola to make it just right for your taste. I did this until I found a brand I loved, and now I buy in bulk when it’s on sale. Add some high-protein, low-sugar yogurt, and you’ll get a dose of probiotics for gut health as well! Protip: granola makes a great pick-me-up afternoon snack. > > If you know you struggle to get to lunch, prepare healthy snacks and avoid that sugary muffin! Some fruits are quite high in sugar, so if you’ve got a mental illness, you might want to skip those grapes and pineapple. Save them for an occasional treat or dessert. 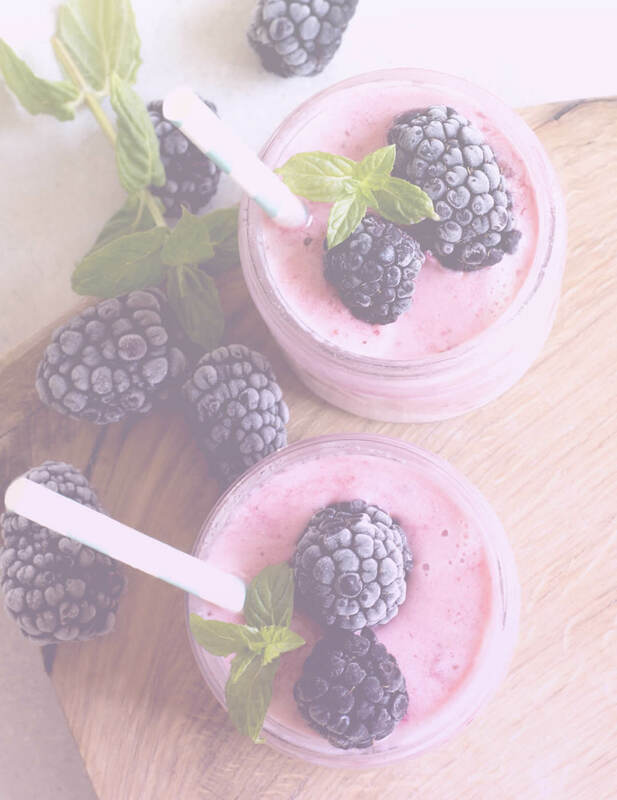 Berries, on the other hand – blueberries, strawberries, and raspberries – are relatively low in sugar, and have all those awesome fruity nutrients. 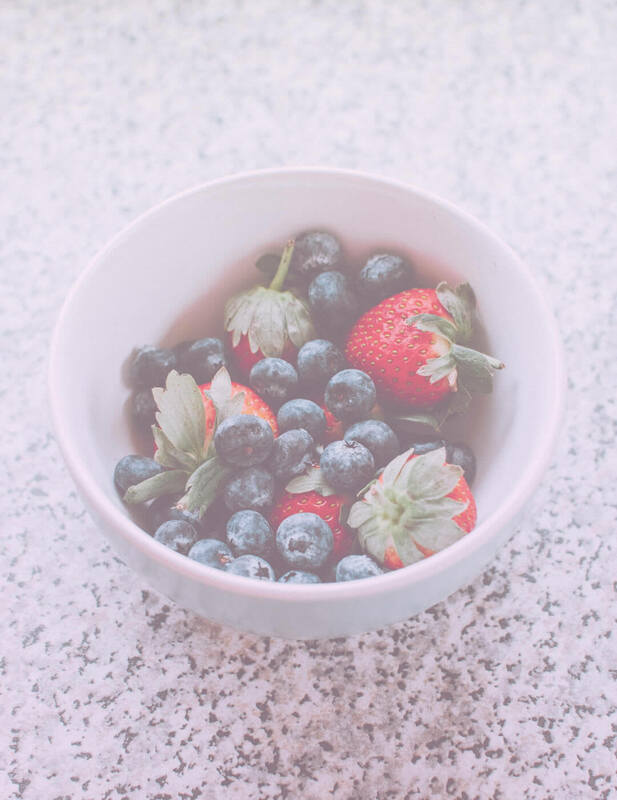 Berries are high in vitamin C: super important for energy, mood, and immunity. Blueberries are also packed with antioxidants and have strong anti-inflammatory properties. Frozen berries are just as nutritious. Try keeping some in the freezer and eat them frozen, or add them to smoothies. In winter, I love warming frozen blueberries in the microwave: they turn into a delightfully comforting mushy dessert. Nuts, especially walnuts and almonds, are the ideal mental-health-boosting snack! They’re easy to store, help keep you full until lunch, and boost your concentration. Walnuts have the highest concentration of Omega-3 of all nuts and are incredible for brain health. You can eat nuts raw or you can jazz them up. Try making a sweet nut mix with dark chocolate nibs and dried berries, or a savory mix with herbs and spices like rosemary or paprika. YUM. > > A good lunch is a simple, delicious, and nutritious lunch! I’ve always called brown rice my own personal “happy food”. Turns out, there’s a reason! Low-GI, high-protein grains like quinoa and brown rice give us long-lasting energy and stable blood sugar levels. If you struggle with your mental health, that’s a big deal. You’re probably tired all the time already, and constant high-and-crashing energy levels do not help. You need stable energy to improve our mood and concentration, and to keep your stress levels down. 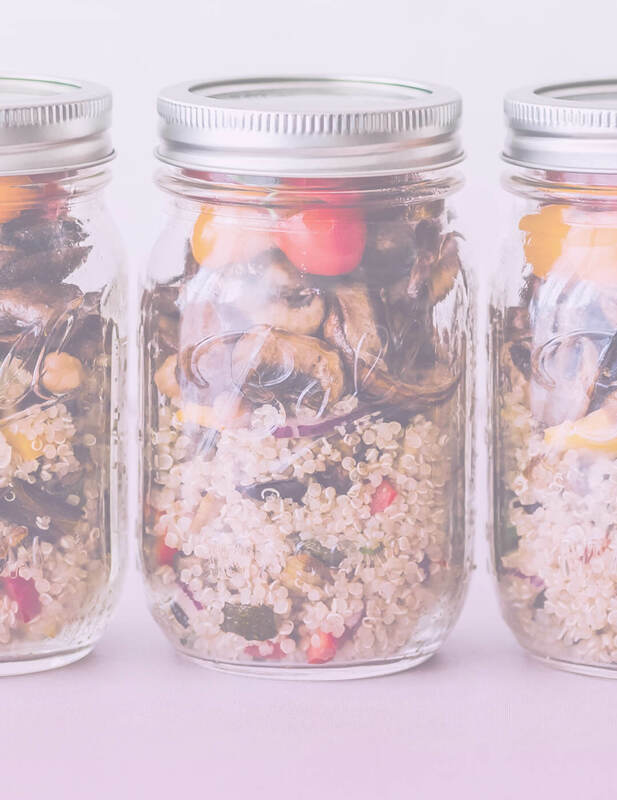 Quinoa or Brown Rice Salads are an easy way to get these low GI carbs, and it’s easy to add vegetables, proteins, and healthy fats (i.e. cheese, olive oil, nuts, or avocado). Protip: tuna mayo sushi made with brown rice makes an amazing mental-health-boosting lunch as well! Yes, I know: you hate me right now for suggesting boring soup for lunch. …I promise, once you experiment and discover your favorite soups, you’ll be hooked! Experiment with smooth blended soups, chunky soups, stew-style soups, and vegetarian or meat-based soups. Try adding bacon bits, zucchini noodles, parmesan cheese, or nuts on top. 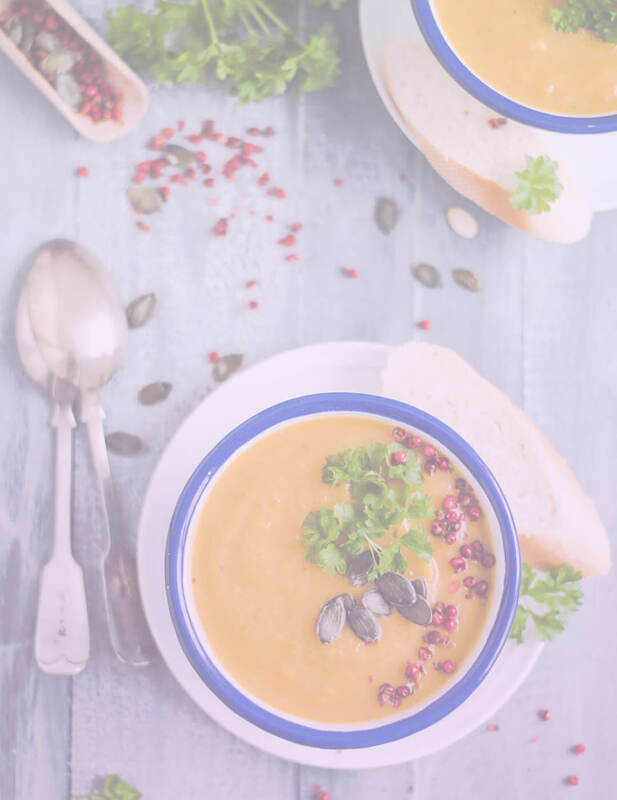 Soups are a powerful and comforting way to get a heap of superfoods – especially vegetables, herbs, and spices – all at once. You can also include gut-friendly ingredients such as bone broth to give that second brain of yours a boost. Add a grainy bread roll or some crackers for some low-GI energy as well. After a superpower lunch like this, you’ll glow for the rest of the day. Don’t give in to that chocolate bar; have a tasty, mental-health-friendly treat instead! An ideal afternoon snack is low in sugar and high in protein, to keep you full and stable until dinner. My afternoon cravings were sabotaging my healthy eating habits until I learned to make & keep low-carb treats on hand. I make bulk batches of my favorites and keep them in the fridge, ready to add to my lunch box. Try exploring low-carb, low-sugar recipes for cream cheese fudge, homemade coconut chocolates, and almond-flour cookies. It’s easier than you might think to incorporate mental health superfoods like cacao and walnuts into baked goods and treats! Learning to bake with stevia will also satisfy your sweet tooth without raising your blood sugar. That’s good – you want to avoid the sudden-high-and-crash of your usual cookie or chocolate afternoon treat. If you’re at home in the afternoons, or your workplace has a blender (this is super common in Australia, for some reason! ), smoothies are a great choice. Experiment with different fruits and vegetables, add yogurt or nuts for protein, and bananas or oats for long-lasting energy. You can also add superfoods like chia. My favorite smoothie is made with cacao, peanut butter, milk, banana, and sometimes avocado or spinach (I know, sounds weird, but it’s SO good). Smoothies are also a great way to get a boost of hydration! > > Dinner needs to be speedy, simple, and – most importantly – satisfying. It’s on so many mental health food lists that it’s almost annoying, you know? But the truth is, it’s really one of the best foods for mental health. Plus, it’s so tasty and versatile! All oily fish – tuna, mackerel, anchovies, salmon – are high in protein and Omega 3s, and are serious powerhouses for brain and heart health. If you want to improve your mental health, oily fish several times a week is the way to go. Salmon is also high in selenium and B vitamins and helps stabilize blood sugar levels for steady energy (and a good night’s sleep!). Pro tip: don’t like fish? Smothering it with a (vaguely healthy) sauce or dip still totally counts. Try a tomato-based pasta sauce, aioli, pesto, or cheese sauce. Pair your salmon with a wide range of vegetables for a double (or triple!) serve of nutrients. 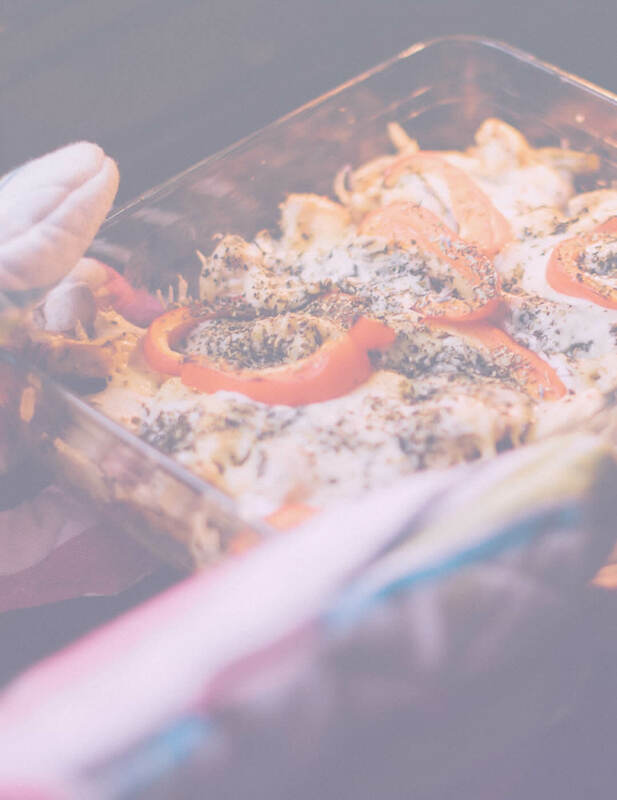 Bake chicken and vegetables in the oven for a fast, easy meal packed with protein and vitamins. Perfect for the super-lazy (i.e. ME). Chicken is high in protein and low in saturated fat – good for those of us with anxious stomachs. Try swapping it for turkey as well – it’s high in tryptophan to help with serotonin production in your gut. Tray bakes are a super easy way to get a whole lot of vegetables. Taste the rainbow and feel those nutrients. Use whatever you have on hand, or experiment with different types of vegetables. Towards the end of the bake, you can add tasty extras such as feta cheese, nuts, seeds, or leafy greens to really supercharge your meal. Like so many of us, I’ve tried endless diets to fight my poor physical health. Not only did this not work, but it was also awful for my mental health. This past year, everything’s been different. I’ve learned about nutrition and biology, and read endless books about our brains, our guts, and the connection between physical and mental health. One of my biggest regrets is not changing my diet as soon as I was diagnosed with depression and anxiety – more than ten years ago. I didn’t know anything about nutrition back then, and none of my doctors or psychologists ever mentioned it. We can’t change our past, but we can create a better future for ourselves and our health. Happily, there are now many (many!) resources available on how we can use nutrition to build stronger mental health. 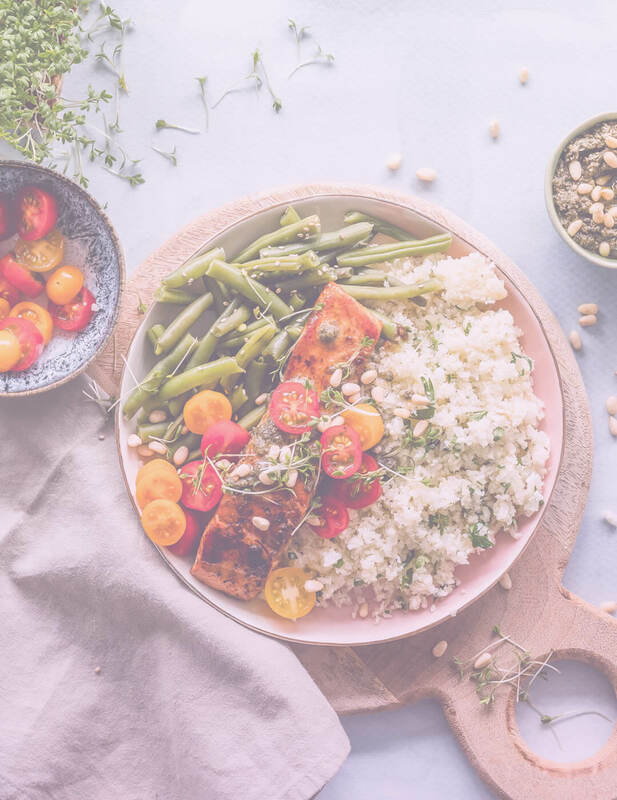 There are endless recipes and meal ideas on eating for better brain and gut health and improving both your physical and mental wellbeing. I hope you’ll try eating some of these foods for mental health, and see how they brighten your mental health and mood. Want to explore more? Check out my Eating for Mental Health series, and grab your free two-week meal plan here. Hi! I’m Jess. 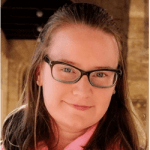 I’ve had depression & anxiety for 13 years. I write to empower and inspire fellow long-term sufferers of mental illness on my blog, the Brave and Strong. Positive change is possible – if we have the right support, encouragement, and resources!